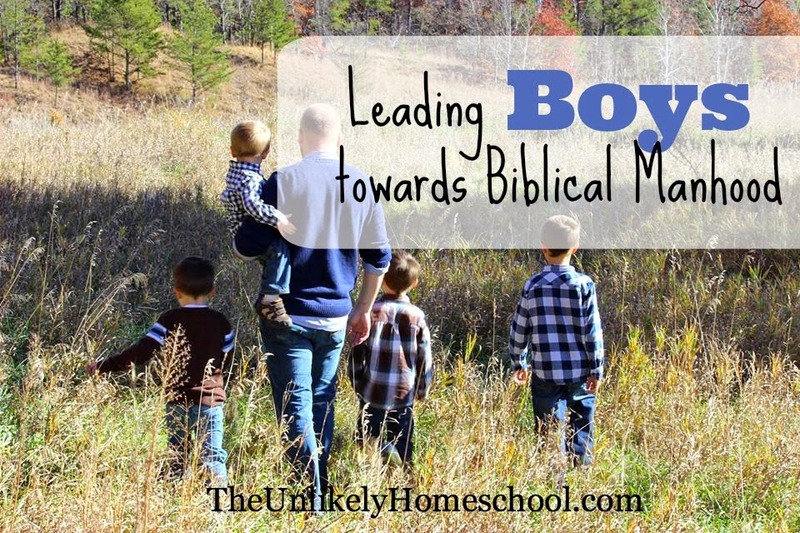 In a culture marked by gender neutrality, The Hubs has spent the last few years searching for tools to help him guide our four boys toward Biblical manhood...toward leadership...toward bold faith. Frustrated by the lack of available resources, he felt called to create a ministry designed to come along side and equip fathers to be able to pass the torch...to challenge the next generation of men to live dangerous lives for Christ. It's been months since the seed of 2 Timothy 1:14 was planted in his heart. After many hours of planning and preparing, The Hubs is almost ready to draw the curtain...to unveil the "good treasure" he has been guarding. Until then, take a quick peek. 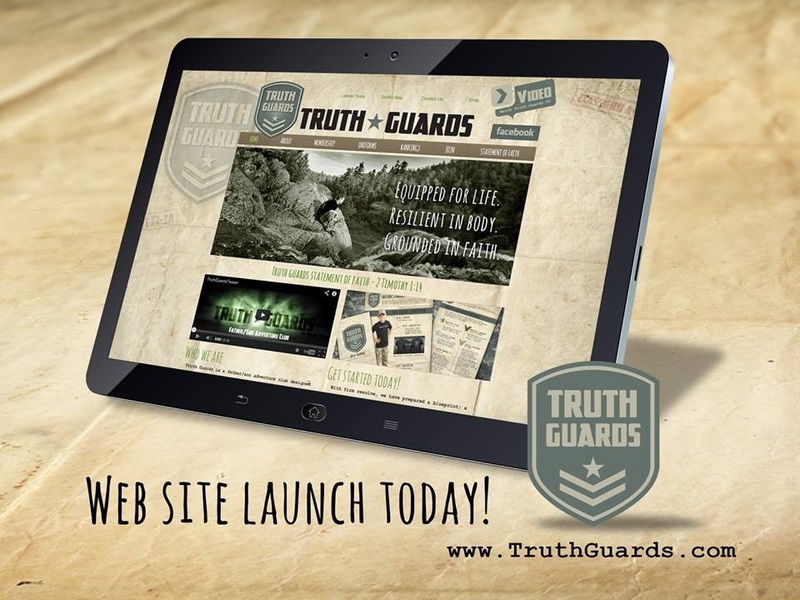 You're sure to hear more about Truth Guards in the coming months, but for now, be sure to check out the website which launches today! Thank you for passing it along. I hope your son will join the ranks in a few years! This sounds great. I have three boys and we're just starting to look into something like this. My oldest just turned seven. I would be really curious to hear your husbands thoughts on what was lacking from programs like Trail Life. Or maybe a better question is... How is Truth Guards different? I love what's on the website so far and will be following closely! Thanks for being so willing to blaze a new trial. 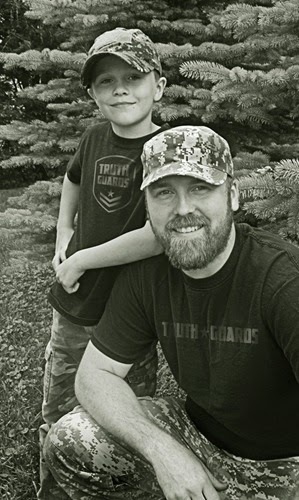 The two obvious differences between what we are hoping to do with Truth Guards and what we see in Trail Life are...we don't just want to provide a "boy scout alternative" where boys are dropped off and taught by one or two men. We want to provide support for Fathers to teach their own sons. All boys must attend meetings with their fathers. Also, while Trail Life seems to be Christian based, there isn't a strong Spiritual Growth component to it. It is more like an adventure club that has a Biblical World view. We feel like the Spiritual training that a father passes on to his son should be foundational and is even more important than the other two components found in most boys adventure clubs...life skills and physical fitness. What a fantastic ministry, Jamie! My two boys are only 2 years old and 6 weeks old, so it'll be awhile before they're ready to join the ranks. However, I follow your blog regularly and have just 'liked' your Facebook page recently as well, so I'll be following along on this adventure! Quick question for you...will there be specific guides or instructions (for lack of a better word, 'curriculum') that the men will use with their sons? I'm just curious for dads who are 'baby Christians' themselves and would need strong guidance in their teaching. Thanks and God bless! The club books will have a "Spiritual Growth" section for the fathers and sons to complete together. Great your writing.This section offers an outline of the vision of manhood and womanhood exhibited in this book with fitting outline reactions to the most well-known protests. Since each push to answer one inquiry (on this or any essential issue) sires new inquiries, the rundown of inquiries here is not thorough. Regardless, we would like to give enough trajectories that perusers can track the flight of our plan to its selected focus on: the great of the congregation, worldwide mission, and the eminence of God.Thanks all!! Hi Jamie, is Truth Guards still a thing? 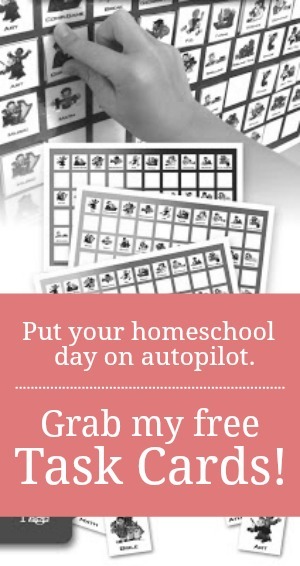 I just heard about it on an old episode of Pam Barnhill's podcast and it sounds fantastic. No. We have discontinued the national groups for insurance reasons. There are other organizations like ALERT or Trail Life that might be worth looking into.